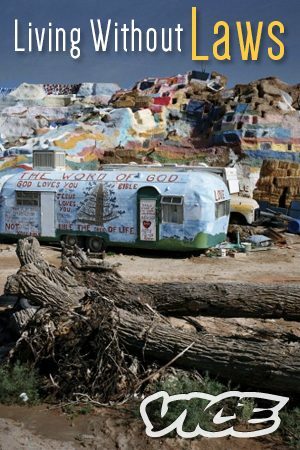 Slab City, also just knows as The Slabs, is a one of kind community. It might be one of the only places in the United States where laws and regulations aren’t enforced. Attracting Vietnam Veteran, homeless people, and other drifters, its residents have built a society that works in its own special way. This documentary takes you into the world of these “Slabbers” and shows that even though their community has problems with drugs and poverty, they still have a functioning society where its residents can live in relative peace. The lifestyle they lead might not be for everyone but there is still plenty to learn from this eclectic group of Slab City residents. If you were driving by, would you take some time to visit The Slabs and check it out for yourself? If you happen to find yourself in Bulgaria, and have enough money lying around, you can purchase the following at reasonable prices: women, drugs, and a fully functioning nuclear weapon. According to the Michigan Public Act 436 of 2012, the State can take over financially struggling cities by handing over full authority to an appointed emergency manager.